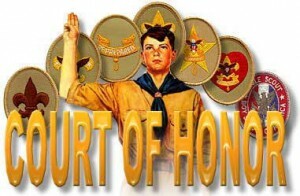 Please join us in honoring our scouts accomplishments: earning ranks, merit badges, and other honors. Scouts: wear full Class A's. Please arrive 10 minutes early to help set up, for a Troop photo, and to line up for the procession. Order forms due 12/4 at Court of Honor. For more details and order form: see full Wreath Sale announcement.